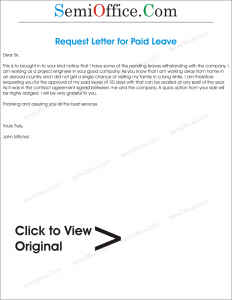 Sample application of paid leave to boss, manager, company, factory to visit your family abroad. This is to brought in to your kind notice that I have some of the pending leaves withstanding with the company. I am working as a project engineer in your good company. As you know that I am working away from home in an abroad country and I did not get a single chance of visiting my family in a long while. I am therefore requesting you for the approval of my paid leave of 30 days with that can be availed at any spell of the year. As it was in the contract agreement signed between me and the company. A quick action from your side will be highly obliged. I will be very grateful to you. Thanking and assuring you all the best services. Sir, I am Mr. Robert Pattinson and I am an employee in the Accounts department. I have been working here for 2 years and I am very pleased with the friendly relationship that has developed between me and other colleagues. I am from Europe and I have not taken any leave in the current year. 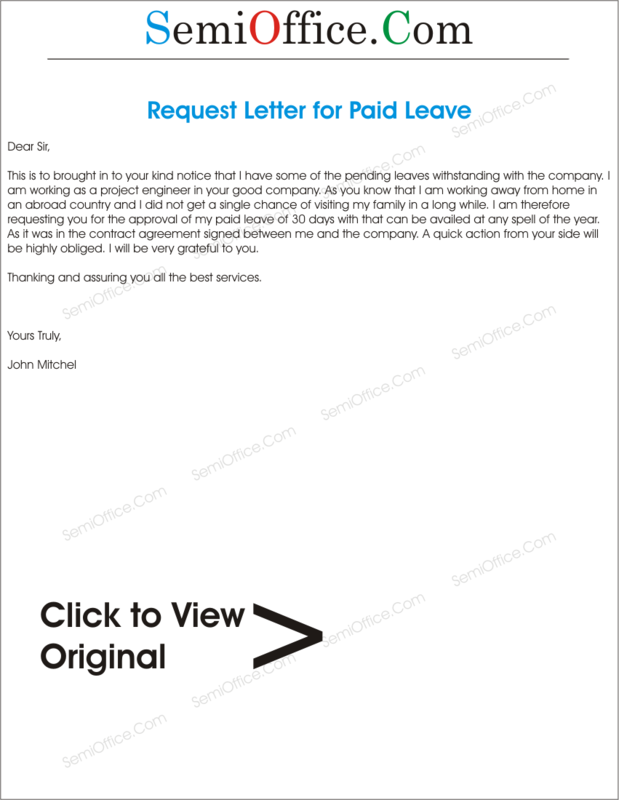 Therefore, keeping in mind the policy of your firm, I would request you to allow me paid holidays of 3 weeks so I could return home and spend some time with my family. I would be available on call if needed. Thank you for your cooperation. With all my due respect I am writing this letter to inform you that I have to go to my home town because of some urgent work pending there and therefore I need one week leave from office. As I have not taken any of my official leaves given by the office, I would like to avail them now.